Recent events in Egypt have made it clear that the Egyptian state is determined to silence women’s rights activists and others who are fighting critical issues such as marital abuse. 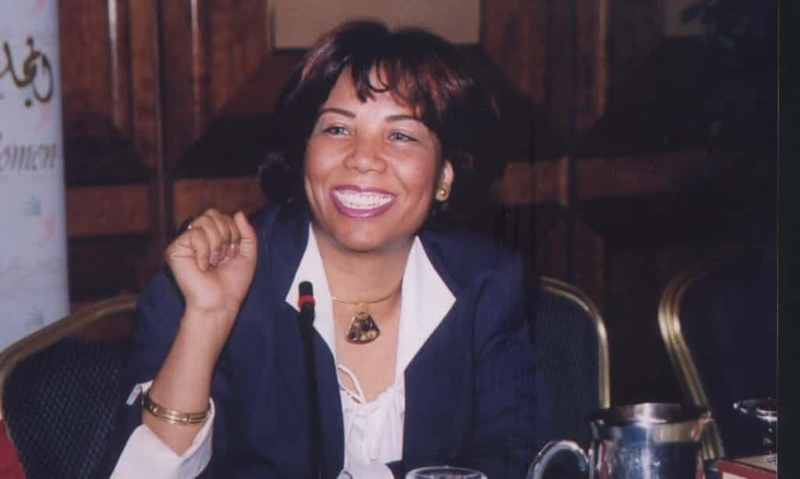 Azza Soliman, a human rights lawyer who advocates for women’s rights, has been charged and arrested multiple times for made up crimes by the government. Security forces and the pro-government media have been targeting women like Azza Soliman for years, portraying them as spies who ‘harm national security’ and encourage ‘irresponsible liberation’ of women. Because of this, Azza Soliman is afraid and reluctant to speak to foreign reporters. Fortunately, we bonded over our mutual dedication for Amnesty International and she agreed to an interview. With her personal assets freezed and a travel ban on her name, the 49-years old Azza Soliman been staying put in her home for safety reasons in Cairo for the last nine months. After being detained for two months in late 2016 for speculation about receiving ‘illegal foreign funding’ and tax invasion through her Center for Egyptian Women’s Legal Assistance foundation (CEWLA), she has been monitored by the government since. “Because of the NGO law, I have received multiple charges about being a national security threat which could lead to life imprisonment,” she says. This political strategy of censuring human rights lawyers and non-profit organizations has been used many times before to serve as government propaganda. However, it is still proving to be a successful method. Because of the increase of smear campaigns projecting Azza as a spy for Western interests and the recent government surveillance, Azza Soliman could not answer more of my questions on our Skype interview. Afraid it would affect the recent charges that could lead to a prison sentence of 15 years, she directed me to her assistant Nada Nashat, who works at Azza’s foundation as a advocacy coordinator. Nada is also affected by the charges against Azza Soliman and the Center for Egyptian Women’s Legal Assistance foundation, seeing the foundation’s assets are unreachable and no employee can receive their salary. The reason why the current government is attacking non-profit organizations like CEWLA is not solely because of the suspicion of the illegal status of foreign funding and tax invasion, Nada Nashat notes. The problem rather lies in the political agenda behind the financial resources. “They believe we receive funds in order to advocate Western values,” she says. Women’s Rights activists have been attacked by the Egyptian government for years, and unfortunately this conflict is still ongoing. The fear of the modern Western agenda being pushed into Egypt’s politics and society leading to destabilization of the government, is what drives the Egyptian president Abdul Fatah Al-Sisi to use different forms of propaganda to silence women like Azza Soliman.